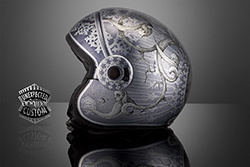 120 years interpreted in six exclusive artworks: one for every twenty years. 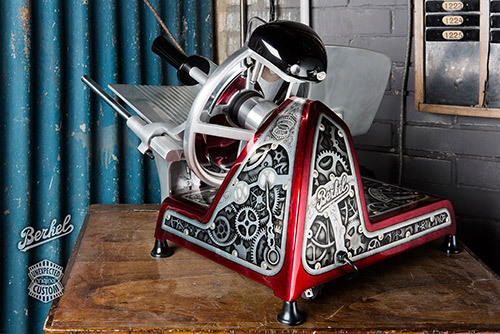 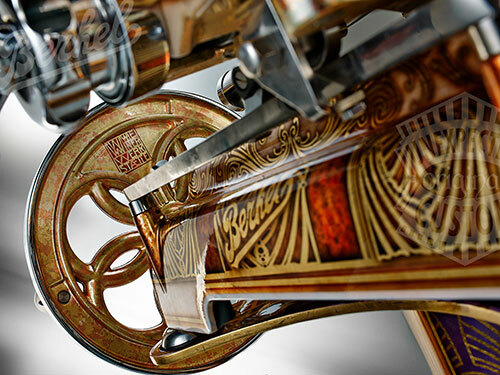 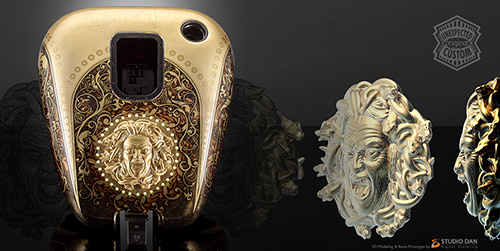 Unexpected-Custom, at Museo Della Scienza e della Tecnica Leonardo Da Vinci in Milano, celebrates the 120 years of Berkel with a special collection that tells more than a century of indelible events in memory. 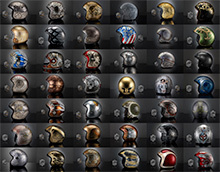 Our designer's helmets. 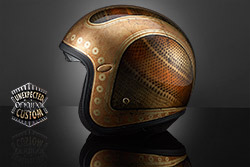 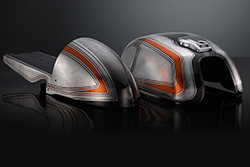 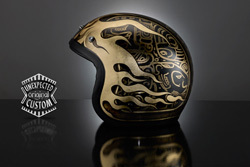 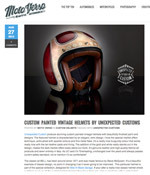 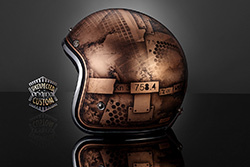 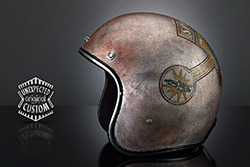 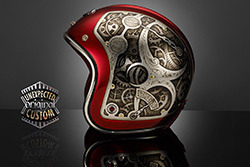 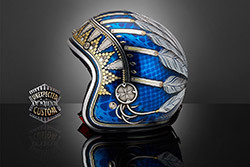 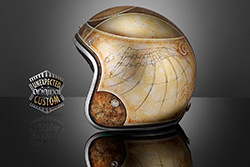 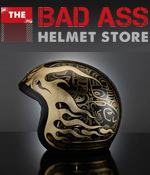 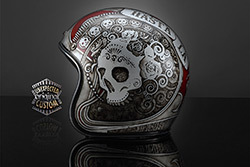 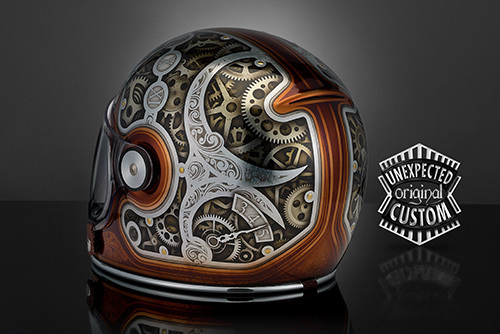 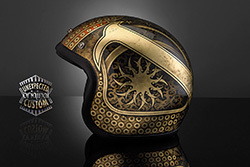 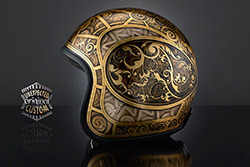 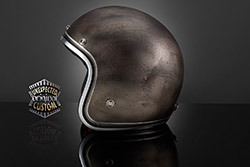 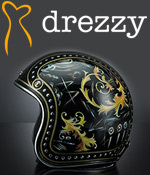 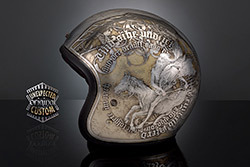 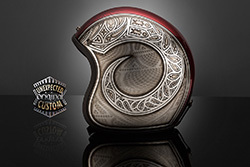 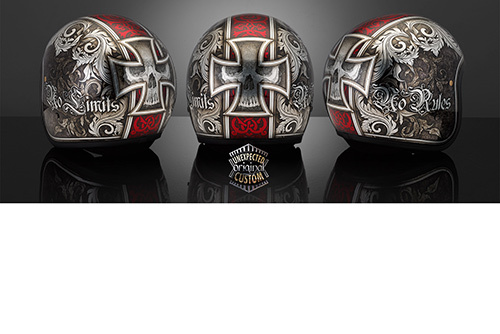 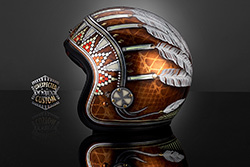 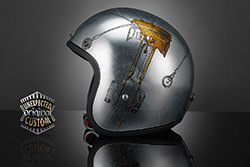 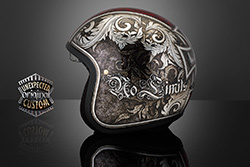 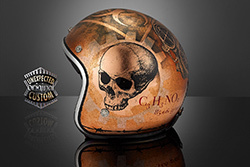 A selection of our artworks developed on motorcycle helmets in different colors, and artistic technique, from the simplest design to the most eccentric aesthetic solutions. 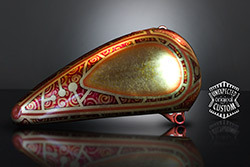 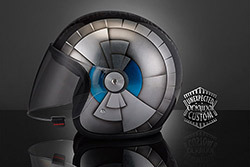 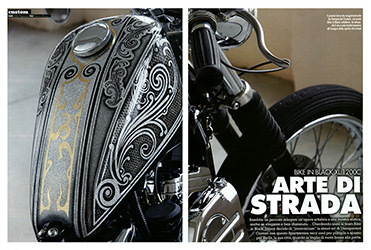 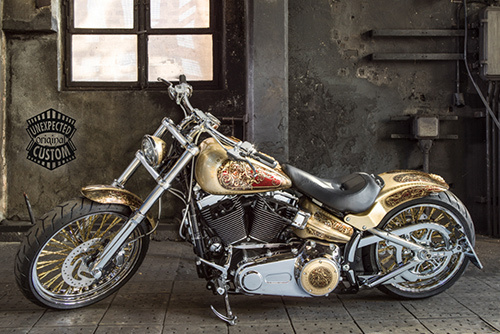 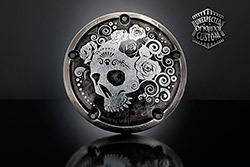 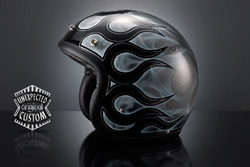 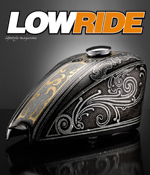 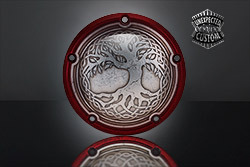 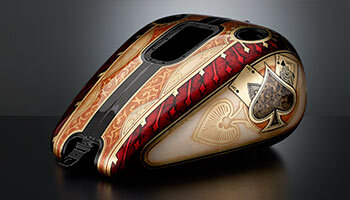 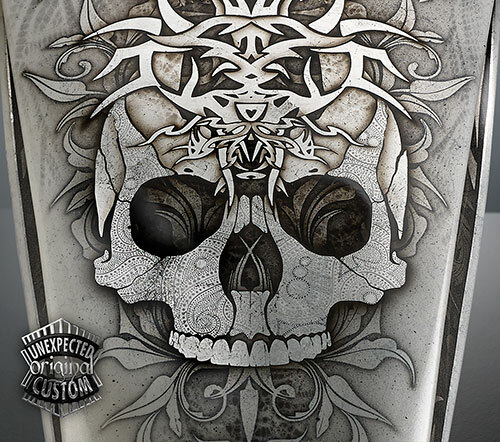 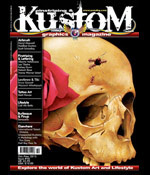 In the biker world imagination the word 'custom' is synonymous with color, fantasy and even ...wonder. 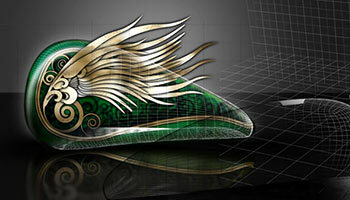 Our creations on tanks: colors, design solutions and artistic works always able to amaze. 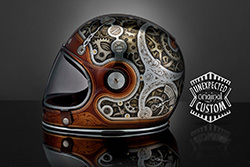 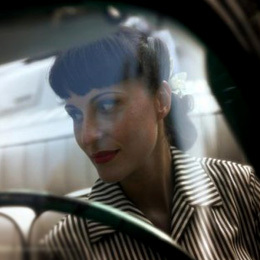 Custom is an attitude, a way of living the surrounding world, transforming it into something unique and personal. 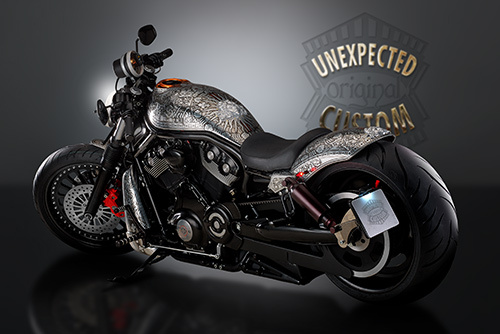 Our genuine artistic work elevated to the state of art and declined in the world of customization can offer aesthetic emotions that exceeds the expectations of the customers, enthusiasts and collectors. 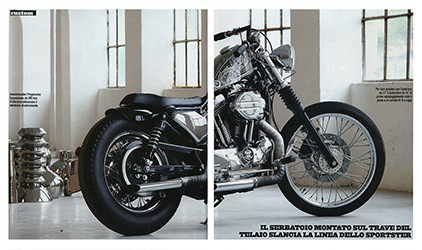 In our workshops we study and design, in collaboration with specialized workshops, the construction of a dream. 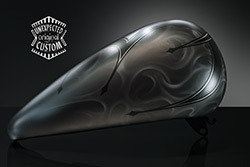 Amazing livery, chrome platings, different color variations, refined aesthetic details and high performance components. 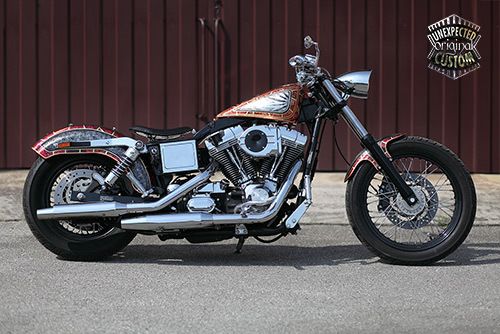 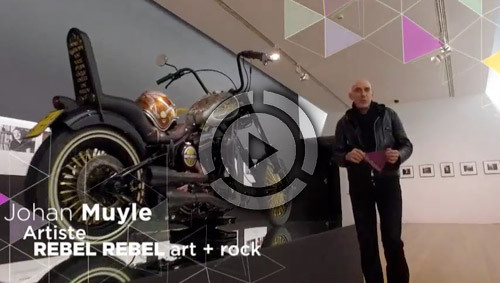 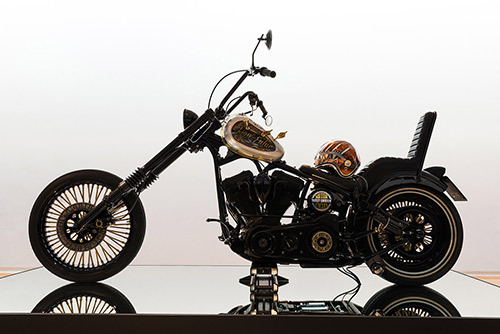 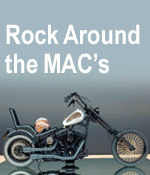 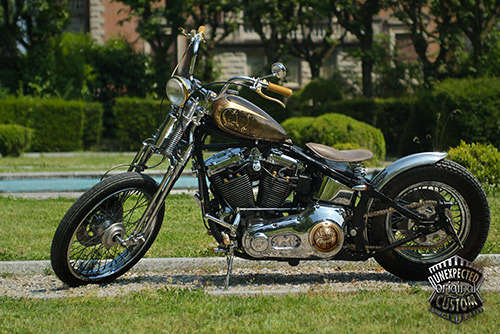 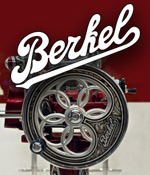 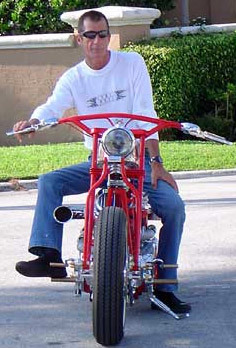 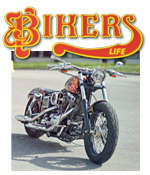 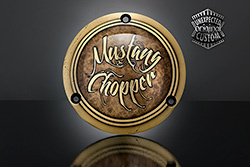 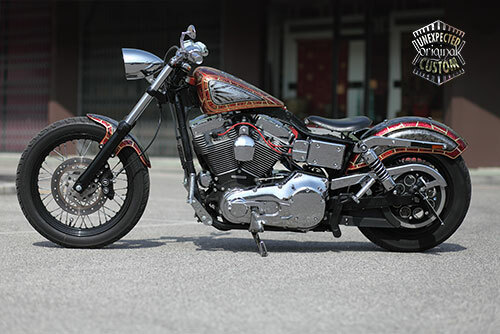 Chopper, Bobber, Old Style, Café Racer and subsequent new denominations to place these works in a timeline book similar to artwork catalogs in history. 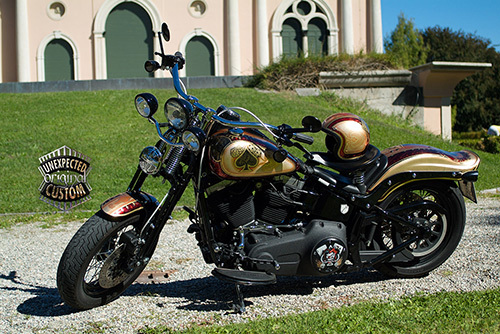 Unexpected Custom is located in Varese, near Milan, synonym of the city of fashion and design. 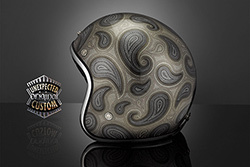 Here born the radically creative and winning projects that leave an impression immediately attributable to the Unexpected Custom brand. 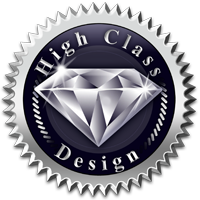 Many and varied are the professional opportunities meet in close collaboration with the prestigious design's centers of the luxury design. 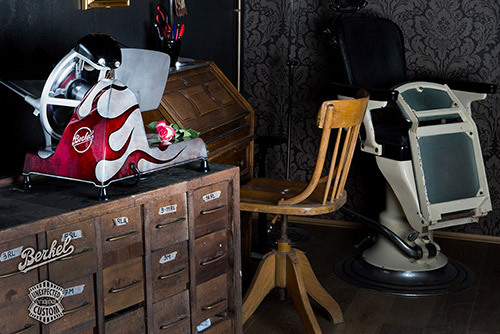 As well as transforming the dreams of many enthusiastic customers and the most passionate collectors, who want to feel more and more an integral part of their purchases, it concretizes the satisfaction in participating to the "myth". 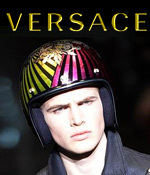 Combined with fashion news and consistent with the spirit of the collection in the name of individuality and freedom: the helmet accessory. 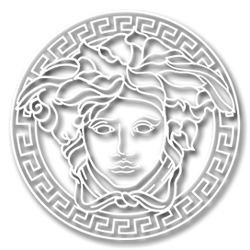 Keeping the iconic graphic of the "Medusa" fashion house, Our artists have interpreted, through an aesthetic and technical research, lines and colors of the new Versace man look. 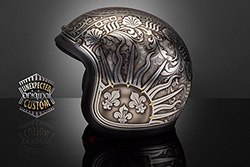 From our atelier born these artworks and quality craftsmanship, able to impress thanks to their uniqueness and artistic precision. 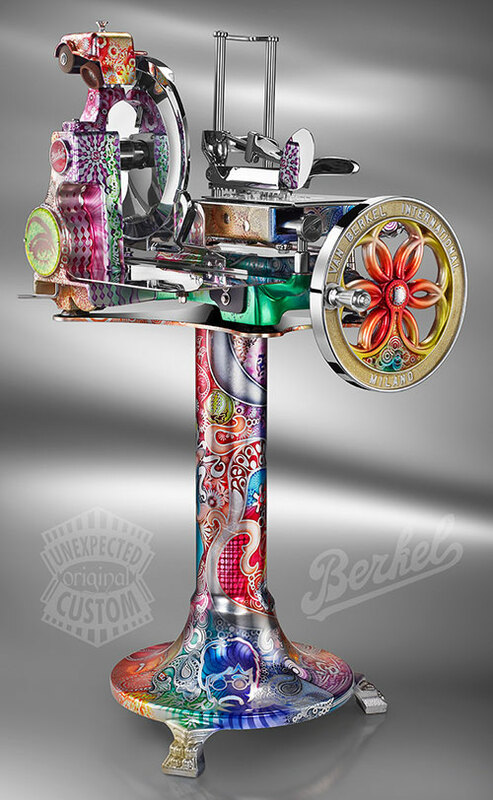 To respond to a continually evolving market, and to raise the attentio to ergonomic's and aestetic's, Berkel has chosen Unexpected Custom as a elective partner that shares the same objectives and values. 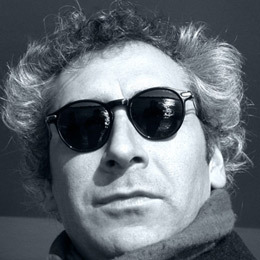 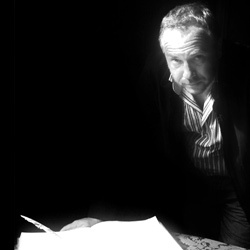 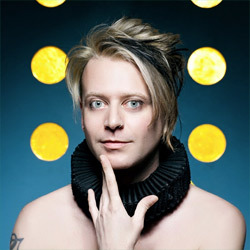 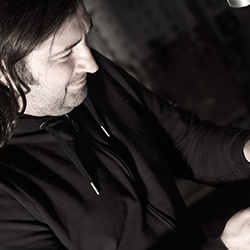 The american designer Jeffrey has been addressed to Unexpected Custom for the ideation and the realization of an exclusive series of unique pieces for her collection of fashion accessories. 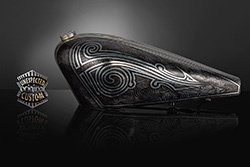 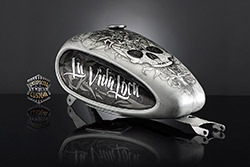 The precious Jeffrey Levinson signed pouches are made of "Elinaclutch" aerospace aluminum. 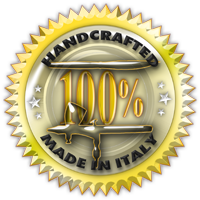 The elegant and sophisticated lines, where the concept, the material and the precise construction, contribute to the creation of a superior high quality product. 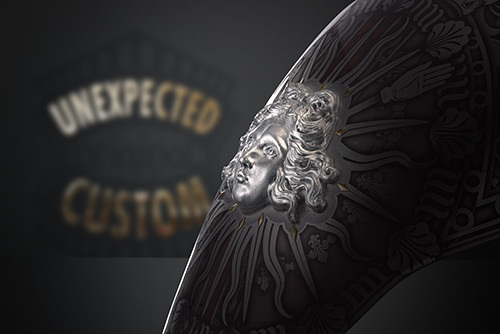 Through a deep comparison of market positioning logics, sales and communication processes, planning and professional starting point with the fashion system, Unexpected Custom has proposed, in a growing focus, the "must" of the 2016 collection. 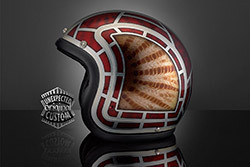 Most don't realize that paint manufacturers never stop researching special colors, materials and techniques, offering professional painters new opportunities to create special effects for clients looking to own one-of-a-kind paint jobs. 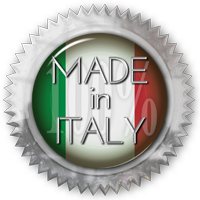 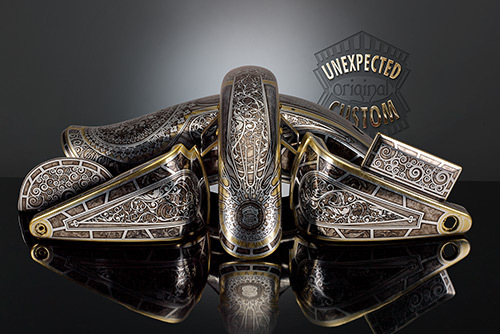 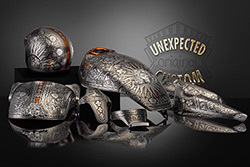 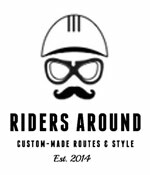 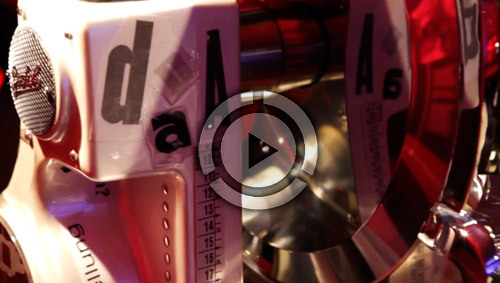 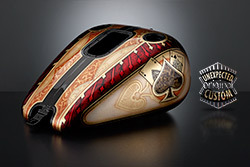 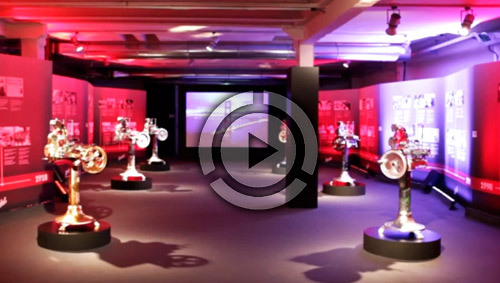 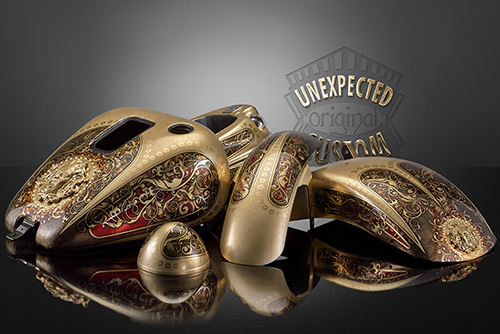 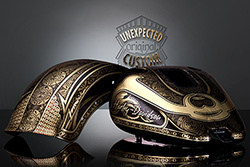 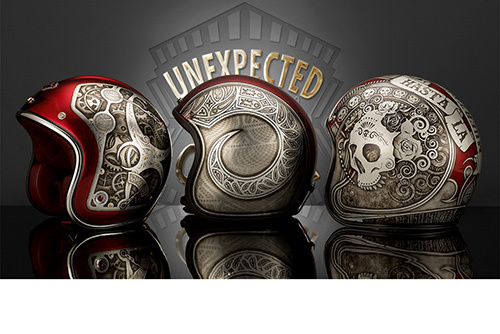 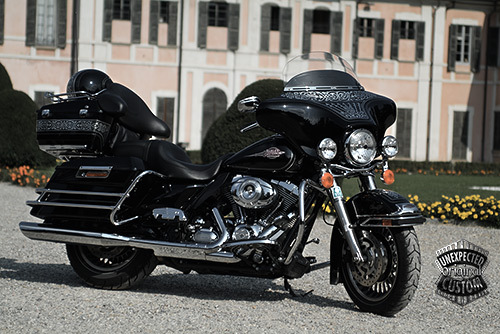 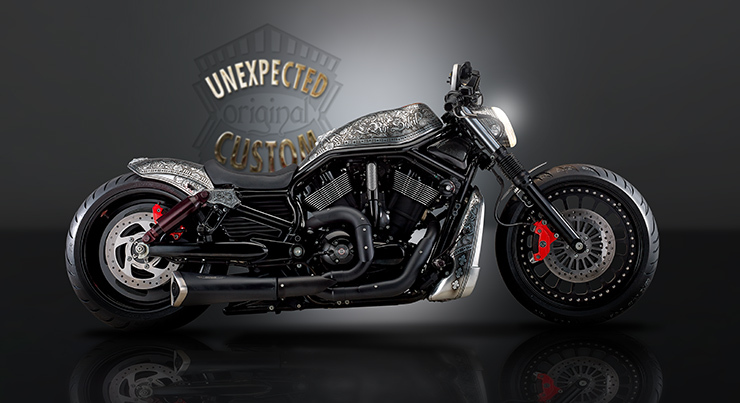 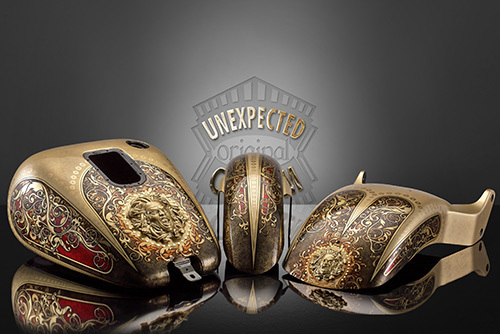 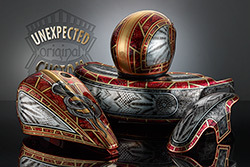 Unexpected Custom is a prestigious Italian brand in the world of customizing. 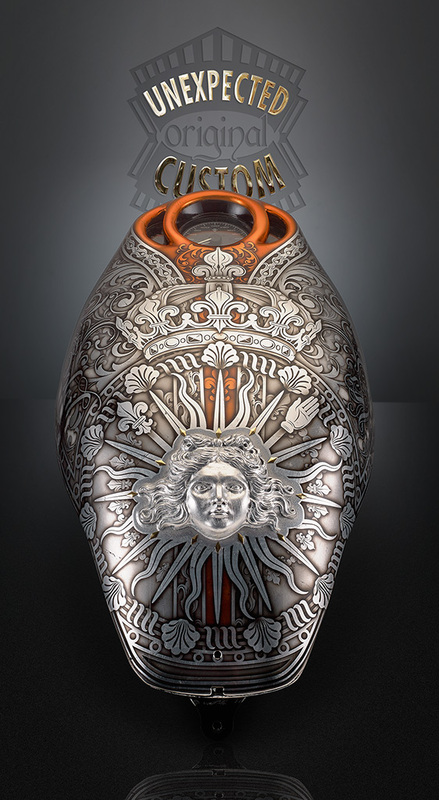 We feature applied works of art and bring together under our own name, a collaboration and artistic force of designers, architects, illustrators, painters. 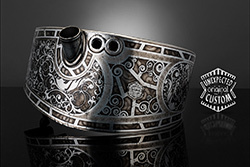 Unlimited interventions of style overlap themselves in a perfect osmosis with the ability of a team that can tell, through the concrete realizations the timeless history and boundaries of applied art, luxury design and high quality Italian craftsmanship. 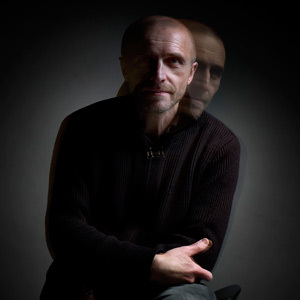 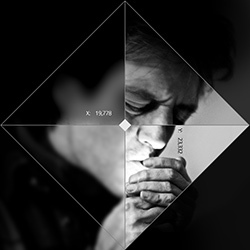 Experience and operational skills in the methodology of graphic design, knowledge techniques of the representation's theory and physiology of perceptual phenomena are the essential ingredients that allow us to design and implement our customization. 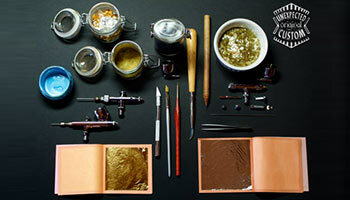 Our art studio is always looking for innovative materials and techniques for more fascinating artistic works. 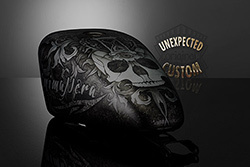 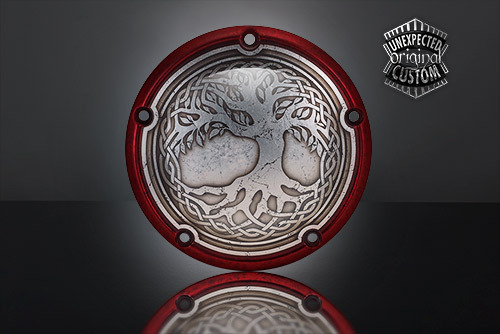 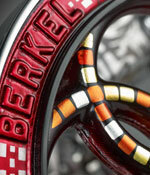 Our customizations are created using the highest quality paints and special techniques. 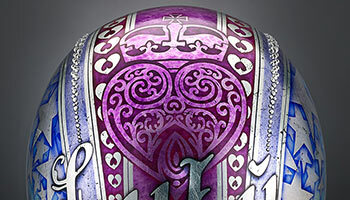 Metallic, iridescent, and sparkle paints are often mixed with metallic powders or additives to make the final result bright and richly reflective. 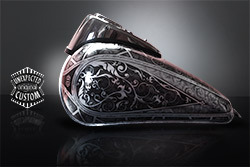 The use of digital techniques and our experience in the field of three-dimensional modeling allow our works to be designed using 2D and 3D software. 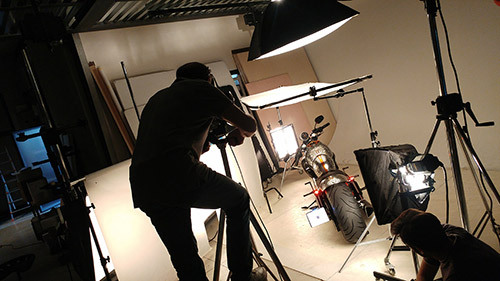 The virtual studio can be useful for testing the aesthetic impact on the items to be customized. 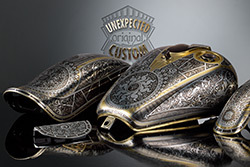 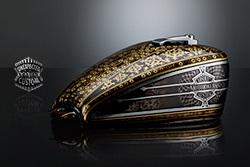 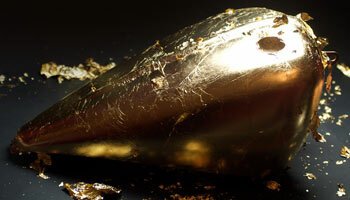 Most of our artistic creations are made by completely covering the object with metallic leaf foils. 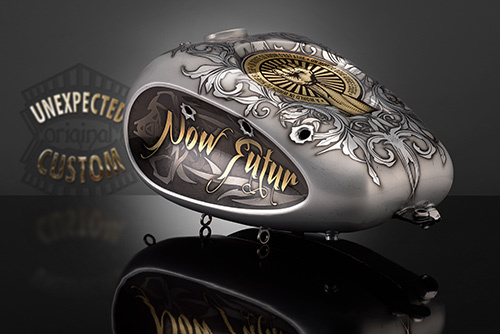 Then we work with airbrush, brushes etc. 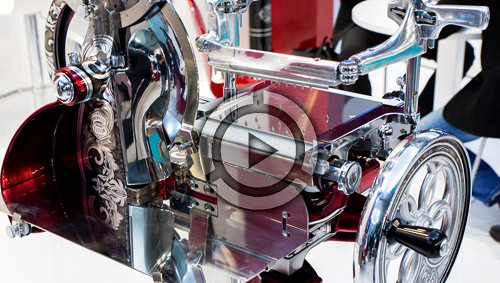 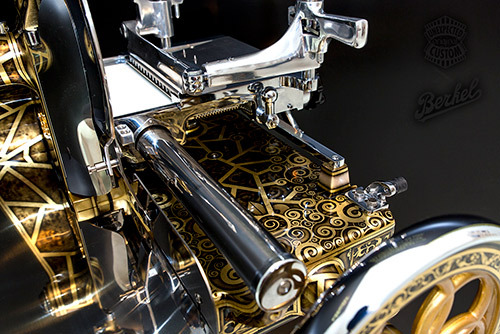 Thanks to enormous experience in the field of interior and exterior gilding and the study of the technique at the prestigious ateliers in Vienna, we have developed and perfected many special technics in the field of "Kustom Art". 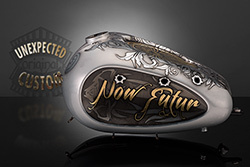 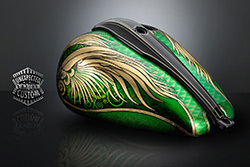 In the computer age and digital art the artists of Unexpected Custom dont't have abandoned the traditional techniques of drawing and graphics. 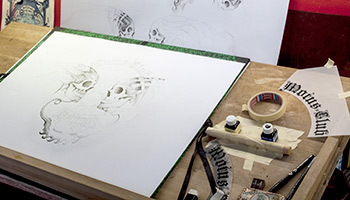 Pencils, inks, nibs and compasses are also on the tables of our ateliers, alwaay ready to be grabbed from our artists, to plan and create timeless drawings that sink their roots from the classics of art history.